Jules Jules was formed in 2005 by Jules Miller. After a career in graphics she found a new way to express her creativity and began making and designing jewellery. 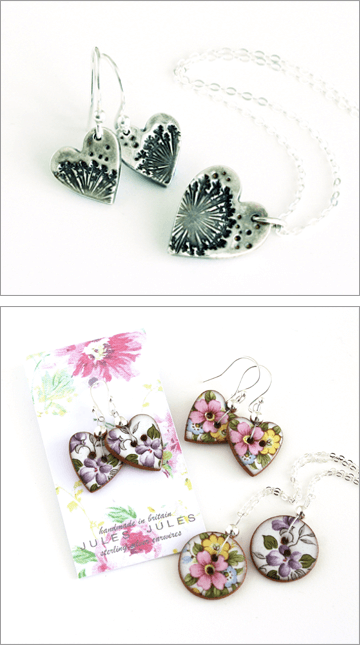 These jewellery collections have now grown to include our ever popular glass gift items. Our focus is to supply the small independent retailer with new and fresh collections with prices at an affordable level. Many of our ranges are enhanced with our own in house designed gift packaging. We are proud to say that many of our lovely customers have been with us from the start over 10 years ago.